Abstract: The occurrence of microfossil assemblage represented by calpionellids in close association with benthic foraminifera and encrusting Crescentiella morronensis is reported for the first time from the Upper Tithonian of NE Serbia. 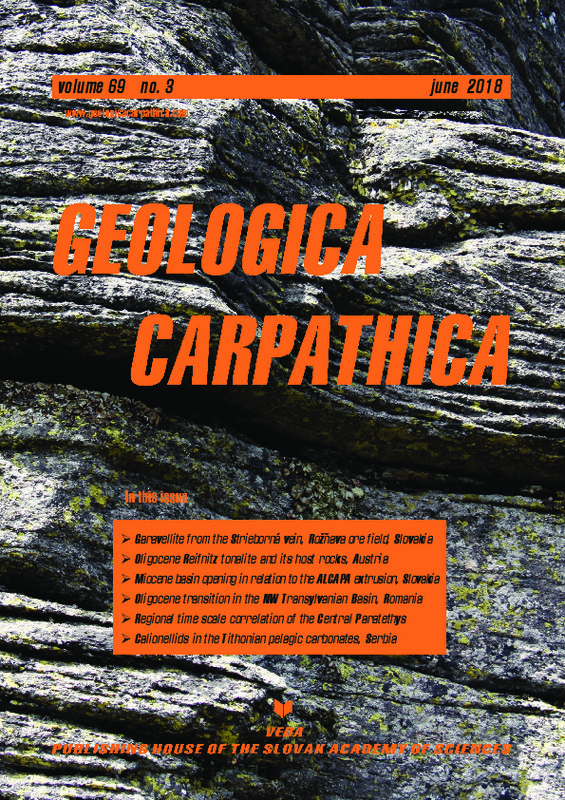 The biostratigraphic and sedimentological investigations were carried out on a 250 m thick carbonate succession in Jelenska Stena quarry cropping out along the Danube River Gorge in the border area of Serbian Carpatho–Balkanides and Romanian Southern Carphatians. On the basis of determined benthic foraminiferal taxa Textularia sp. cf. T. bettenstaedti and Everticyclammina praekelleri in the lower part of the succession and calpionellid association dominated by the representatives of calpionellid genera Tintinnopsella, Crassicollaria and Calpionella the carbonate succession is assigned to the Upper Tithonian. The scarcity of calpionellid zonal species prevents the nominal zones being recognized. Petrographic analysis of thin-sections led to the recognition of three basin microfacies types: bioclastic wackestone, bioclastic peloidal wackestone/packstone and mudstone. These microfacies characterize the SMF 3 and SMF 4 which indicate deposition in slope and toe-of-slope environments. This study extends the palaeogeographical distribution of Upper Tithonian calpionellids along the northern Tethyan margins. The investigated carbonate succession is compared with coeval strata from other northern Tethyan regions.